Governor Baker speaks after touring a new factory in Springfield where the Chinese company CRRC will build new MBTA cars for the Red and Orange lines, on Oct. 12, 2017. 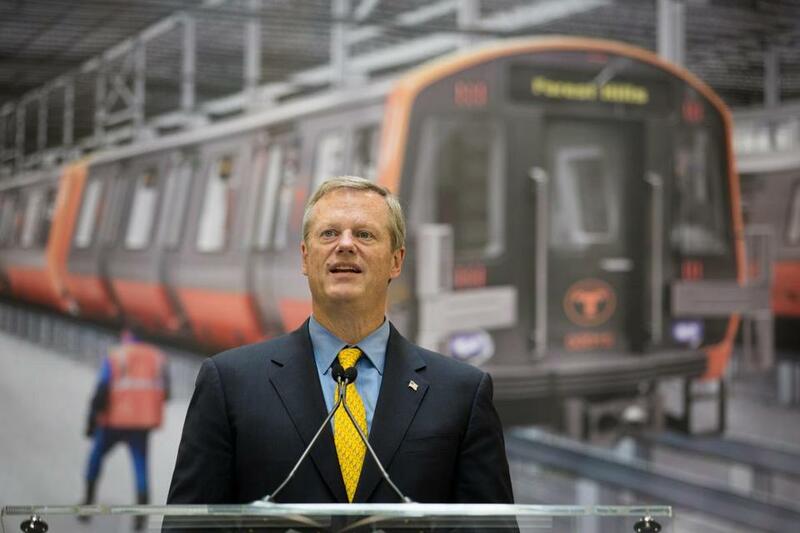 Spoken with the confidence of a man who never sets foot on public transportation, Governor Charlie Baker said the MBTA “should” be looking into fare increases. No, it shouldn’t. To close a deficit pegged at $111 million, what the T should be looking into is net new revenue — the kind that comes from a gas tax increase, or fees on nonresidential parking and alternative transportation options like Uber and Lyft. 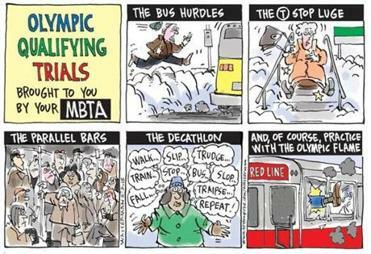 Baker’s highly intellectualized understanding of the T allows him to declare, “We all agree the system is not as reliable as it should be, which is why we have been significantly investing in the T’s capital program.” To understand the true urgency of the situation, you really need to be on a packed Orange Line train, watching a man in a motorized wheelchair trying to get out at North Station. Only one side of the aging door opened one January morning. Unable to squeeze through, the man yanked with his hands at the stuck door. Other passengers came to his assistance. Finally, a T employee showed up. But the door wouldn’t budge, forcing the man to wheel down to the next exit, displacing a few dozen people in his path. To really understand the broken-down system, you had to be riding home one recent evening to see a man interrupt a phone conversation about his next court date to jump up and yell, “It smells like this (expletive-deleted) train is burning!” Inelegantly put — but accurate, at least about the smell. From hurdles to parallel bars. There’s a lot of inelegance, otherwise known as humanity, that a governor could witness if he looked at something other than statistics. Some of it is oddly uplifting. A few days ago, a fight almost broke out between two young men over a growled word. The offended man pulled out his earbuds, stood up, and in colorful language said he was ready to take out the other guy. The taunter fled. Passengers laughed. The victor sat back down but was still revved up. “Take a deep breath,” I counseled. He did, and apologized for his previous language. Asked during a recent meeting with Globe editorial writers and columnists whether he would accept the challenge of riding the T for five straight days, as his Democratic rival Jay Gonzalez did, Baker said it wouldn’t work because “I’m not a point-to-point person. If I had a more traditional commute, it would be easier to do that.” He mentioned he has been a T rider in the past. So have I, as a long-ago college student. As a return customer several decades later, I encourage the governor to refresh his experience. He owes safe, efficient transit to all those citizens who don’t have a driver to take them from home to work and back again. Over passenger protests, the MBTA last hiked fares, by 9 percent, in July 2016. Now, the T is pledging not to increase the cost until 2019 — after the November election, and Baker’s presumed smooth ride back into office. Surely, the most popular governor in America has enough political capital to back a comprehensive financial fix to public transit in Massachusetts. And he should have enough curiosity about reality on the rails to swipe a Charlie card now and again.